Happy Sunday! We hope you are having a great weekend! Now it’s time to sit back, relax, and catch up on all the Royal Caribbean news from the week! 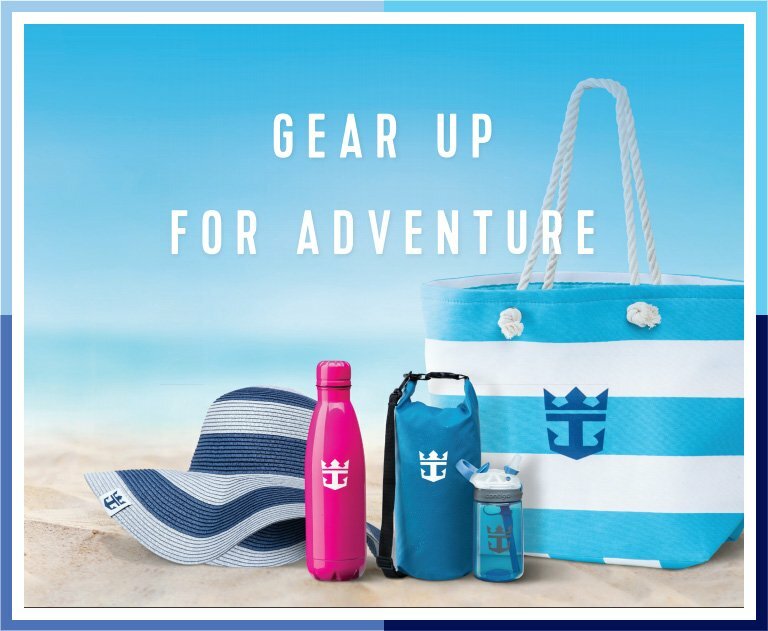 Royal Caribbean's Gifts website has expanded to offer Royal Caribbean branded souvenirs that can be delivered directly to your home. Gift items include, but are not limited to T-shirts, Polo Shirts, Sweatshirts, Hats, Visors, Flip Flops, Totes, Tumbler Cups, Glass Mugs, Sunglasses, and Gift Certificates. A wide selection of gift items are fully customizable and ready for purchase. Symphony of the Seas now offers interactive luggage departure forms. Here are 10 things you never thought to bring on a cruise, but you totally should. Thermal suite passes were spotted on the Cruise Planner site for pre-purchase. A review of the Old Havana City sightseeing shore excursion. We shared photos of a Junior Suite stateroom on Explorer of the Seas. We reviewed the Alaska Sled Dogs & Musher's Camp shore excursion in Juneau, Alaska. A look at the progress being made on CocoCay's new pier. The 259th episode of the Royal Caribbean Blog Podcast is now available, where Matt talks about the written and unwritten rules of cruising etiquette. In this episode, Matt goes over cruising customs that guests should be aware of prior to cruising. Have you subscribed to the Royal Caribbean Blog YouTube Channel? We share some great videos there regularly, all about taking a Royal Caribbean cruise! This week, we are sharing our latest video — 8 Things Royal Caribbean Pros Do, and You Should Too! — and don’t forget to subscribe here. Mommy for the Win shared the ultimate survival guide to cruising with a baby. Barrons interviewed Royal Caribbean Cruises Ltd Chief Financial Officer about how Royal Caribbean is leading the industry. Cruise Fever wrote about a fitness themed cruise that will sail on Mariner of the Seas.